Why is KFC a Christmas tradition in Japan? According to KFC Japan spokeswoman Motoichi Nakatani, it started thanks to Takeshi Okawara, the manager of the first KFC in the country. Shortly after it opened in 1970, Okawara woke up at midnight and jotted down an idea that came to him in a dream: a “party barrel” to be sold on Christmas. Okawara dreamed up the idea after overhearing a couple of foreigners in his store talk about how they missed having turkey for Christmas, according to Nakatani. Okawara hoped a Christmas dinner of fried chicken could be a fine substitute, and so he began marketing his Party Barrel as a way to celebrate the holiday. In 1974, KFC took the marketing plan national, calling it Kurisumasu ni wa Kentakkii, or Kentucky for Christmas. It took off quickly, and so did the Harvard-educated Okawara, who climbed through the company ranks and served as president and CEO of Kentucky Fried Chicken Japan from 1984 to 2002. The Party Barrel for Christmas became almost immediately a national phenomenon, says Joonas Rokka, associate professor of marketing at Emlyon Business School in France. He has studied the KFC Christmas in Japan as a model promotions campaign. 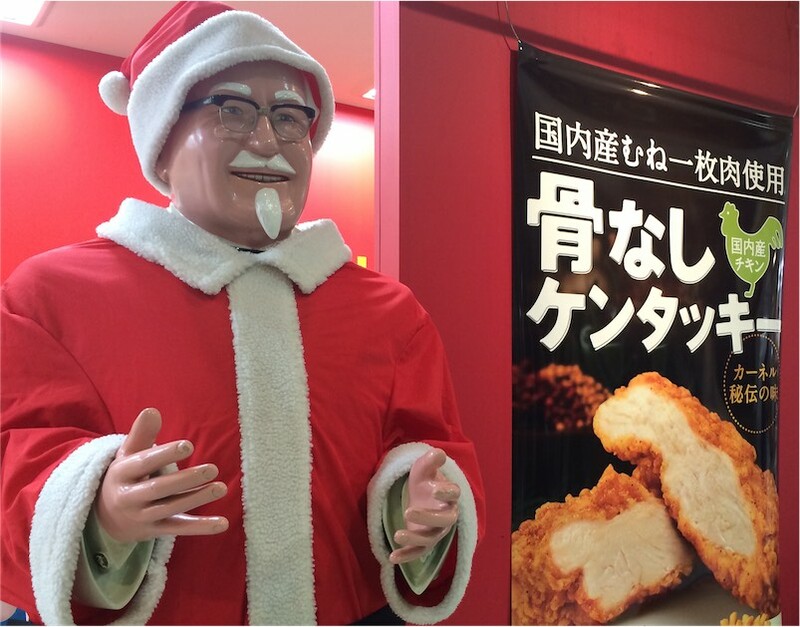 "Why Japan celebrates Christmas with KFC"